Complete the sentences with the words given. The audience is responsible for the very name of a popular series of concerts enjoyed by music 1……………………… every summer. The ’Promenade Concerts’, better known as the Proms, were so named because originally the audience ’promenaded’ or walked about 2. …………………… the performance. Today, it is more usual to sit or 3. ……………………… . The Promenade concerts were founded 4. ………………………… the conductor, Sir Henry Wood. 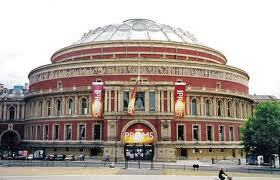 They were first held in 1895 in the Queen’s Hall in London which was managed by the impresario, Robert Newman. Wood and Newman wanted to introduce audiences to a wide range of music 5. ……………………. an informal atmosphere. Tickets cost just one shilling (five pence) and eating, drinking and 6. …………………………. were allowed in the concert hall, unlike today. The first piece performed at the Proms was Wagner’s Rienzi Overture. Since 1927 the Proms have beeen sponsored by the BBC and nowadays they are held at the Royal Albert hall, a huge 19the amphitheatre with a glass roof, and 7. …………………………. venues in London. The programmes are usually classical music, but also feature jazz, world music and other musical 8. …………………………… . There is certainly noticeably a bundle to know about this. I assume you created good points.